J.M. Weston : Advice and measurement. Since the very beginning, J.M. 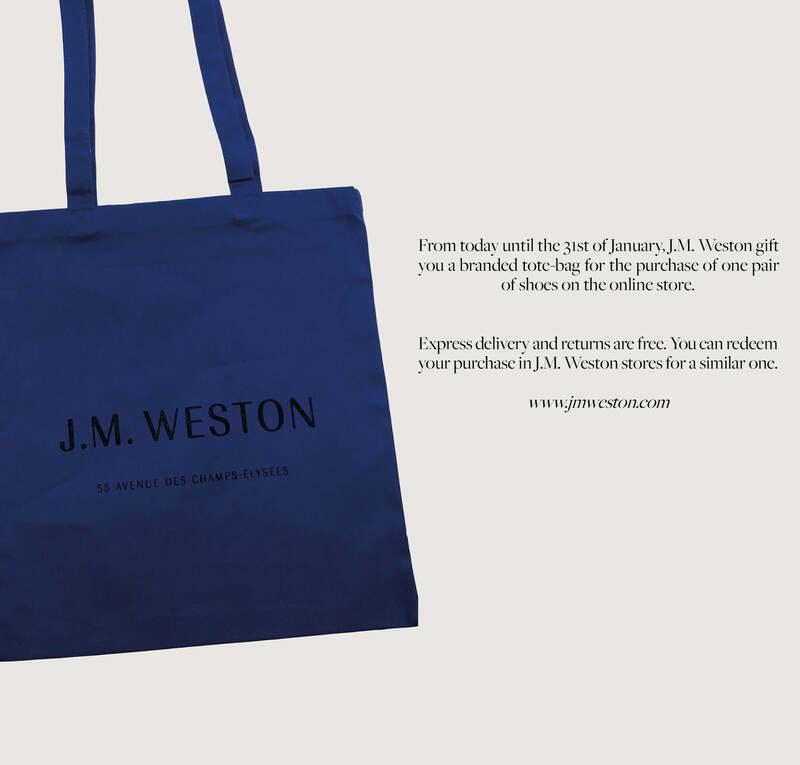 Weston shoes have been available in several widths and half sizes. Beyond know-how, J.M. 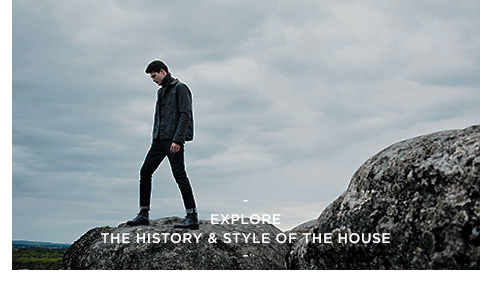 Weston offers uniquely precise footwear for optimum comfort. A pillar of this philosophy is the measuring of the feet, which is always executed with a traditional foot measure, according to the rules of the trade. In order to refine this technique, J.M. 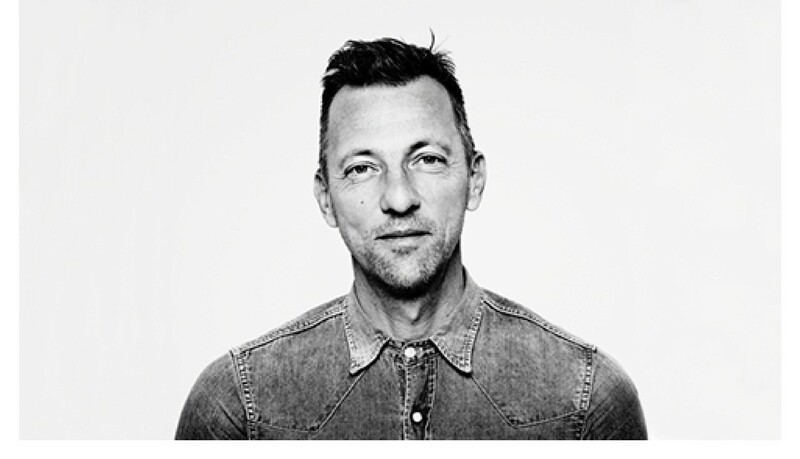 Weston called on the industrial designer Martin Szekely to develop a special foot measure. With a combination of technical and contemporary materials, such as Corian®, which subtly contrasts with the walnut wood, it is now possible to measure both feet at the same time, for the first time ever. The leather used for J.M. 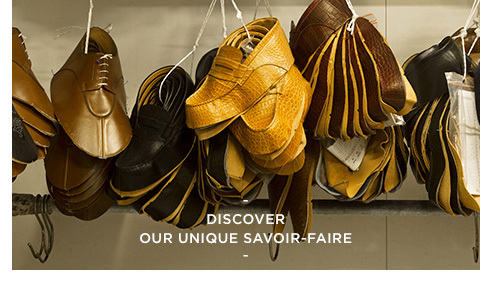 Weston soles comes exclusively from the House tannery in Saint-Léonard de Noblat, in the Limousin region of France. The tannery keeps alive the tradition of slowvegetable tanning.Using this procedure, it takes close to a year to obtain soles that are both resistant and comfortable. 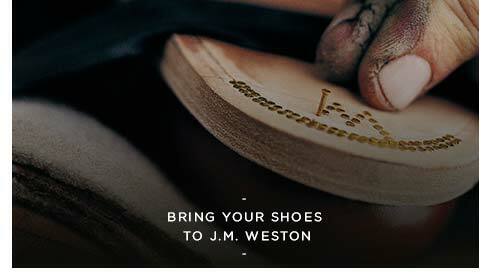 In lasting your shoes with the Goodyear stitch or the Blake stitch, J.M.Weston makes it possible for them to receive several soles over their lifetime. 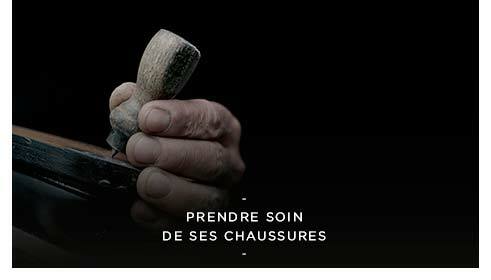 This kind of quality resoling, practised in the Limoges manufacture workshops, consists in undoing the stitching, stitch by stitch, before assembling the new sole, upper and welt with new stitchings. The closed circle of Weston connoisseurs features a unique kind of club: that of the so-called cloches, or 'bells'. Its members are neither recruited nor co-opted, for membership is quite voluntary, yet their status as cloches inspires great pride. Even though no visible sign sets them apart, they have no difficulty in recognizing each other. What is the key to this enigma? Look underneath the Weston sole. If the initial W in inscribed inside a bell shape, this means that the model has been "returned" to the works, where it has been repaired, resoled or re-coloured and this has enhanced its value in its owner's eyes. 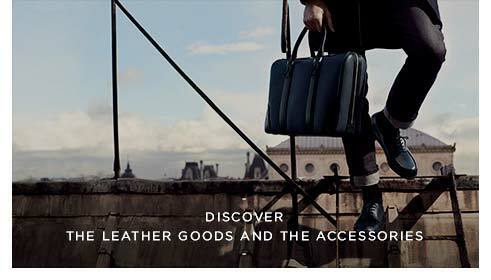 So you can rediscover your favourite pair of shoes, J.M. Weston has created a unique workshop dedicated entirely to restoration at its Limoges manufacture. Shoes are patiently disassembled there. Then each piece is inspected–damaged ones are replaced–, readapted to feet that may have changed over time, and reassembled in strict compliance with the original production rules, requiring about a hundred operations.